Hedge, tree and shrub cutting is one of your popular services that we can take care of all year round. Keeping your hedges and shrubs in great shape enhances the appearance and overall beauty of your garden. The Grass Is Greener Garden services in Brighton and Hove are experienced in the cutting of all types and sizes of hedges. 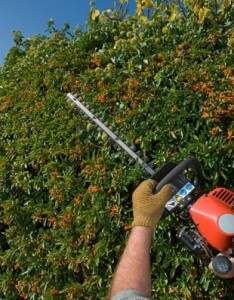 Even if your hedges are out of control, are overhanging pathways and pavements or have grown far too high then you can rely on our Hedge Cutting services to get them back to a manageable situation and improve the look of your garden.